In recent years the congregation of the Parish Church has changed noticeably. It averages 55 to 60 communicants at a normal Sunday service, with an average of over 20 children, making a total Sunday attendance of around 80. We all want this to increase to 100; there are 137 members on the electoral roll and we believe this goal is achievable, with more regular attendance. At major festivals attendance levels have increased significantly in the past few years. Reasons for this include extensive publicity, and the worship itself, with high-quality contributions from both adults and children. Major racial groups are represented through the whole age range, leading to an encouraging increase in the number of young families. 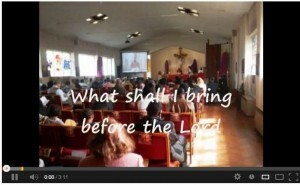 To become a member of St Augustine’s click here.